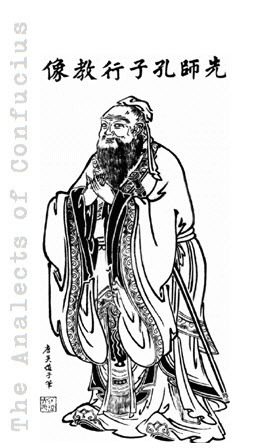 This is Book 6 of the Analects of Confucius. Of Yen Yung, a disciple, the Master said, "Yung might indeed do for a prince!" Master replied, "He is passable. Impetuous, though." "But," argued the disciple, "if a man habituate himself to a reverent regard for duty�even while in his way of doing things he is impetuous�in the oversight of the people committed to his charge, is he not passable? If, on the other hand, he habituate himself to impetuosity of mind, and show it also in his way of doing things, is he not then over-impetuous?" "You are right," said the Master. When the Duke Ngai inquired which of the disciples were devoted to learning, Confucius answered him, "There was one Yen Hw�i who loved it�a man whose angry feelings towards any particular person he did not suffer to visit upon another; a man who would never fall into the same error twice. Unfortunately his allotted time was short, and he died, and now his like is not to be found; I have never heard of one so devoted to learning." While Tsz-hwa, a disciple, was away on a mission to Ts'i, the disciple Yen Yu, on behalf of his mother, applied for some grain. "Give her three pecks," said the Master. He applied for more. "Give her eight, then." Yen gave her fifty times that amount. The Master said, "When Tsz-hwa went on that journey to Ts'i, he had well-fed steeds yoked to his carriage, and was arrayed in light furs. I have learnt that the 'superior man' should help those whose needs are urgent, not help the rich to be more rich." When Yuen Sz became prefect under him, he gave him nine hundred measures of grain, but the prefect declined to accept them. "You must not," said the Master. "May they not be of use to the villages and hamlets around you?" Speaking of Yen Yung again, the Master said, "If the offspring of a speckled ox be red in color, and horned, even though men may not wish to take it for sacrifice, would the spirits of the hills and streams reject it?" Adverting to Hw�i again, he said, "For three months there would not be in his breast one thought recalcitrant against his feeling of good-will towards his fellow-men. The others may attain to this for a day or for a month, but there they end." 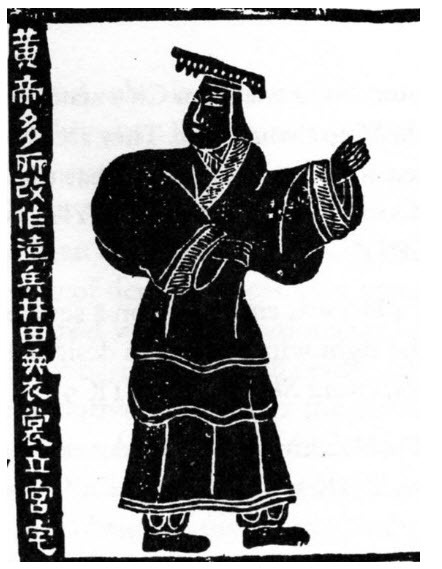 When asked by Ki K'ang whether Tsz-lu was fit to serve the government, the Master replied, "Tsz-lu is a man of decision: what should prevent him from serving the government?" Asked the same question respecting Tsz-kung and Yen Yu he answered similarly, pronouncing Tsz-kung to be a man of perspicacity, and Yen Yu to be one versed in the polite arts. When the head of the Ki family sent for Min Tsz-k'ien to make him governor of the town of Pi, that disciple said, "Politely decline for me. If the offer is renewed, then indeed I shall feel myself obliged to go and live on the further bank of the Wan." Peh-niu had fallen ill, and the Master was inquiring after him. Taking hold of his hand held out from the window, he said, "It is taking him off! Alas, his appointed time has come! Such a man, and to have such an illness!" Of Hw�i, again: "A right worthy man indeed was he! With his simple wooden dish of rice, and his one gourd-basin of drink, away in his poor back lane, in a condition too grievous for others to have endured, he never allowed his cheery spirits to droop. Aye, a right worthy soul was he!" "It is not," Yen Yu once apologized, "that I do not take pleasure in your doctrines; it is that I am not strong enough." The Master rejoined, "It is when those who are not strong enough have made some moderate amount of progress that they fail and give up; but you are now drawing your own line for yourself." Addressing Tsz-hi�, the Master said, "Let your scholarship be that of gentlemen, and not like that of common men." When Tsz-yu became governor of Wu-shing, the Master said to him, "Do you find good men about you?" The reply was, "There is Tan-t'ai Mieh-ming, who when walking eschews by-paths, and who, unless there be some public function, never approaches my private residence." "Mang Chi-fan," said the Master, "is no sounder of his own praises. During a stampede he was in the rear, and as they were about to enter the city gate he whipped up his horses, and said, 'Twas not my daring made me lag behind. My horses would not go.'" "Whoever has not the glib utterance of the priest T'o, as well as the handsomeness of Prince Ch�u of Sung, will find it hard to keep out of harm's way in the present age. "Who can go out but by that door? Why walks no one by these guiding principles? "Where plain naturalness is more in evidence than polish, we have�the man from the country. Where polish is more in evidence than naturalness, we have�the town scribe. It is when naturalness and polish are equally evident that we have the ideal man. "The life of a man is�his rectitude. Life without it�such may you have the good fortune to avoid! "They who know it are not as those who love it, nor they who love it as those who rejoice in it�that is, have the fruition of their love for it. "To the average man, and those above the average, it is possible to discourse on higher subjects; to those from the average downwards, it is not possible." Fan Ch'i put a query about wisdom. The Master replied, "To labor for the promoting of righteous conduct among the people of the land; to be serious in regard to spiritual beings, and to hold aloof from them;�this may be called wisdom." To a further query, about philanthropy, he replied, "Those who possess that virtue find difficulty with it at first, success later. "Men of practical knowledge," he said, "find their gratification among the rivers of the lowland, men of sympathetic social feeling find theirs among the hills. The former are active and bustling, the latter calm and quiet. The former take their day of pleasure, the latter look to length of days." Alluding to the States of Ts'i and Lu, he observed, that Ts'i, by one change, might attain to the condition of Lu; and that Lu, by one change, might attain to good government. An exclamation of the Master (satirizing the times, when old terms relating to government were still used while bereft of their old meaning):�"A quart, and not a quart! quart, indeed! quart, indeed!" Tsai Wo, a disciple, put a query. Said he, "Suppose a philanthropic person were told, 'There's a fellow-creature down in the well!' Would he go down after him?" "Why should he really do so?" answered the Master. "The good man or, a superior man might be induced to go, but not to go down. He may be misled, but not befooled." "The superior man," said he, "with his wide study of books, and hedging himself round by the Rules of Propriety, is not surely, after all that, capable of overstepping his bounds." Once when the Master had had an interview with Nan-tsz, which had scandalized his disciple Tsz-lu, he uttered the solemn adjuration, "If I have done aught amiss, may Heaven reject me! may Heaven reject me!" "How far-reaching," said he, "is the moral excellence that flows from the Constant Mean! It has for a long time been rare among the people." Tsz-kung said, "Suppose the case of one who confers benefits far and wide upon the people, and who can, in so doing, make his bounty universally felt�how would you speak of him? Might he be called philanthropic?" The Master exclaimed, "What a work for philanthropy! He would require indeed to be a sage! He would put into shade even Yau and Shun!�Well, a philanthropic person, desiring for himself a firm footing, is led on to give one to others; desiring for himself an enlightened perception of things, he is led on to help others to be similarly enlightened. If one could take an illustration coming closer home to us than yours, that might be made the starting-point for speaking about philanthropy."